Llamas are crashing weddings and now alpacas are trying to steal your mate. 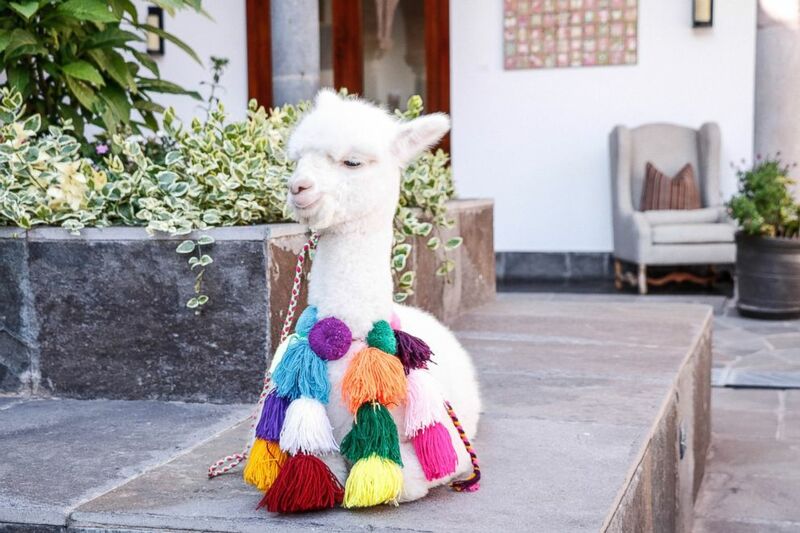 Aware of just how cute sweet, baby alpacas are, JW Marriott El Convento Cusco in Cusco, Peru, has come up with a special Valentine’s Day treat. The hotel is calling it an alpaca-gram. An alpaca-gram is a personalized Valentine’s Day video call from the hotel’s baby alpaca buddy, Panchita. This sweet little cupid will be making video calls all day to love birds around the world to wish them well. Panchita will call your mom, best friend, partner or crush. Panchita is pretty much willing to call anyone on Valentine’s Day, as long as she is delivering a message of love. (JW Marriott El Convento Cusco) Panchita the baby alpaca at JW Marriott El Convento Cusco. You can line up an alpaca-gram for that special someone in your life now by visiting www.lovepanchita.com and filling out a request form. Since Panchita has a packed schedule, she won’t be able to make every call. Alpaca-gram recipients will be selected at random. If you aren’t one of the of the animal lovers selected, you can always visit JW Marriott El Convento Cusco. She makes daily visits to the hotel.